NIGHTTIME REFLUX: WHAT YOU NEED TO KNOW. “heartburn”, but unfortunately acid can wreak havoc thoughout the body. Stomach acid plays a very important role in helping your body kill harmful bacteria and viruses that are consumed with food. Acid only becomes a problem when it escapes your lower esophageal sphincter (LES) and enters the delicate lining of your esophagus and beyond. The key is to keep stomach acid where it belongs…in the stomach. A serious wake up call. 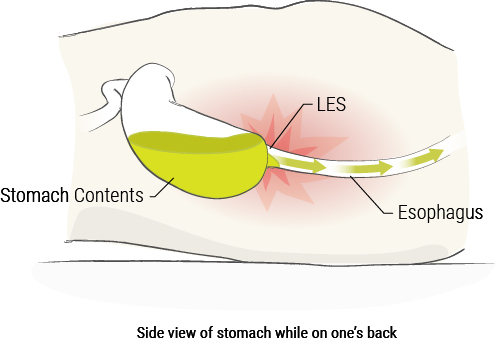 Once stomach acid escapes your LES, it can cause serious damage and scarring along its path, especially with repeated exposure. Nighttime reflux is especially problematic because when laying flat, acid can linger in your esophagus, vocal cords, and/or sinuses for hours. Since you are asleep, you are often unaware of the prolonged damage. The key to preventing serious, long term health consequences is to limit the time acid lingers in your esophagus. 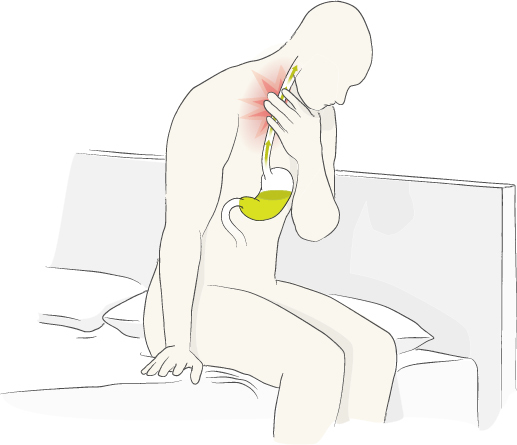 As the acid flows up into your esophagus, it can cause esophageal strictures and ulcers. Repeated acid exposure can cause esophagitis and Barrett’s esophagus, the precursor to esophageal cancer. In fact, patients with regular reflux at night are eleven times more likely to develop cancer in the esophagus. *MedCline is not intended to prevent or treat cancer. If acid makes it to your throat, you can develop a chronic cough, hoarseness and experience dysphagia (difficulty swallowing). When aspirated into your airways, acid can cause pneumonia, asthma, emphysema and pulmonary fibrosis (lung scarring). Often mistaken for allergies, acid can cause chronic sinusitis, laryngitis, headaches and even dental erosions. Anti-reflux drugs are a misnomer. These popular medications act to suppress acid production in the stomach, ignoring the root cause of acid reflux - the reflux itself. 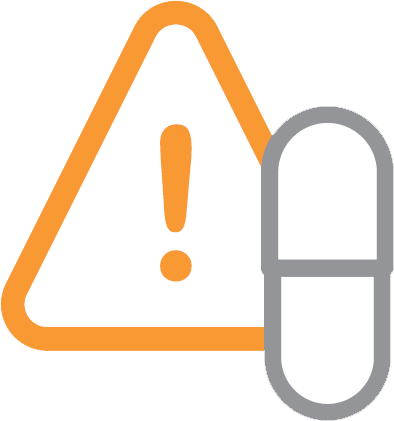 If you have tried anti-reflux medications and still experience nighttime symptoms, you are not alone as up to 30% of patients still experience symptoms, despite medication usage. 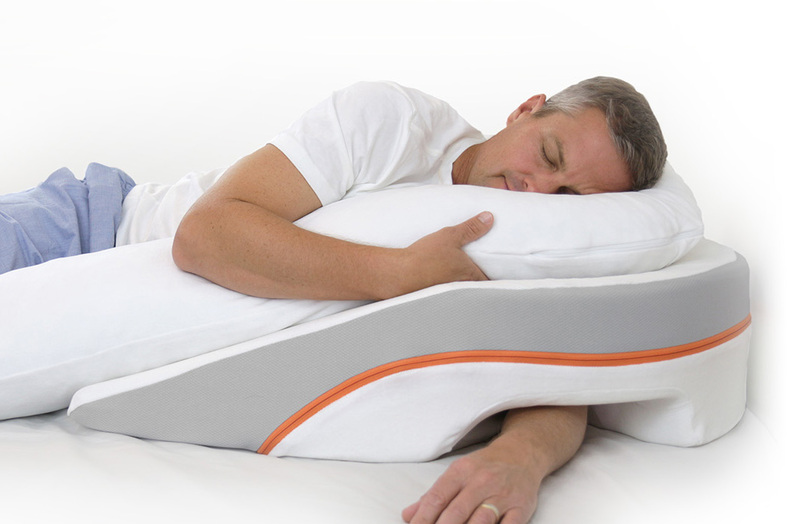 MedCline comfortably positions and protects you while you sleep. 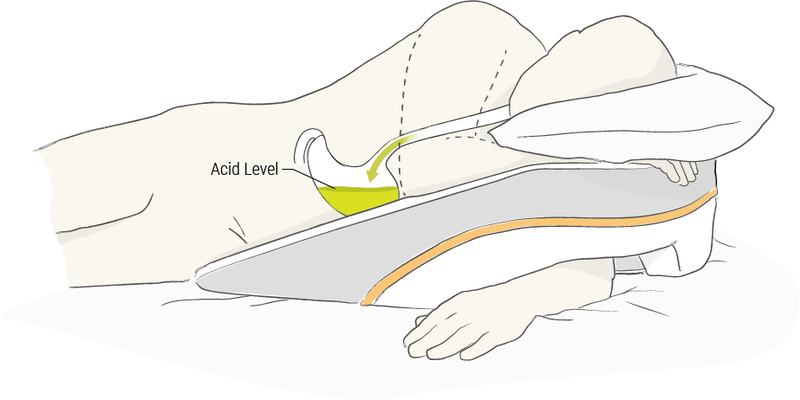 MedCline makes refluxing virtually impossible by positioning your LES above “sea level.” If acid does make it out of your stomach, when your stomach is really full for example, then the position created by MedCline allows reflux to quickly return to your stomach, where it belongs. MedCline keeps stomach acid in your stomach and limits your exposure to damaging acid. Are you ready to change your position and change your life? What do you have to lose by trying MedCline?